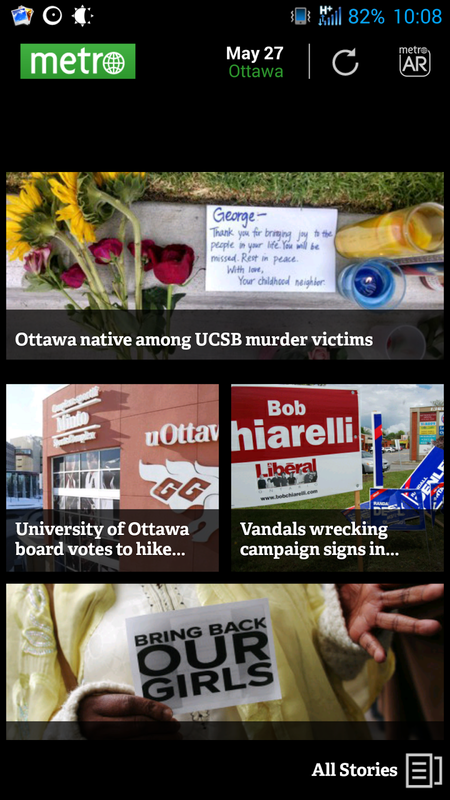 I've been toying around with various news app but never one for a newspaper. 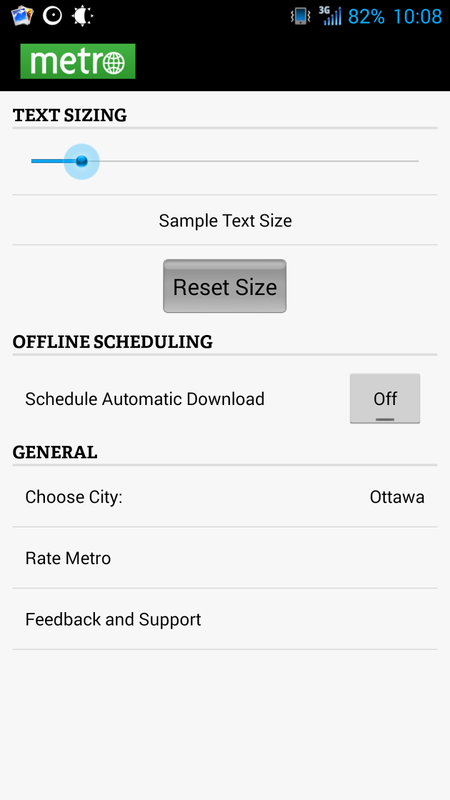 I submitted an inquiry over to Metro about 2 years ago about a mobile app for the Android platform, but had never really gotten a response except for "please stay tuned". Taking the time to browse some old post notes I had previously stored away I was amaze to see that Metro News now had an Android dedicated application. I've noticed a some minors problems while using the app, such as, the pictures for the news feed not showing up, delays in content loading while scrolling, but this could also be due to the mobile network. 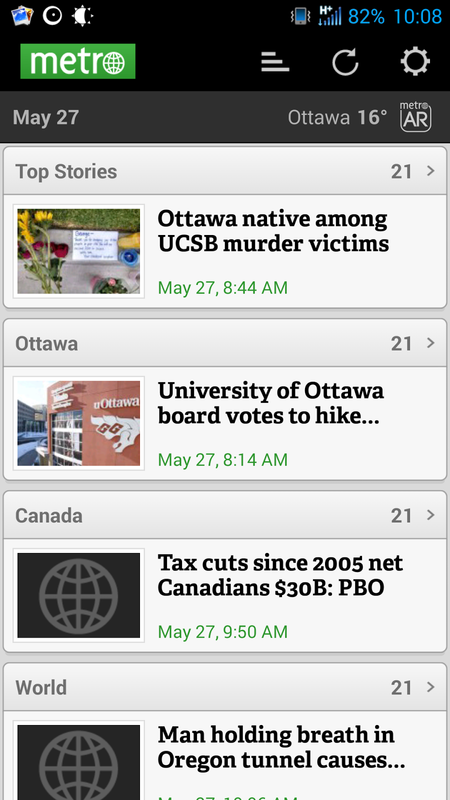 Overall, I was quite pleased with my experience reading the local news for Ottawa. Something for the developers to consider would the ability to switch between day/night. 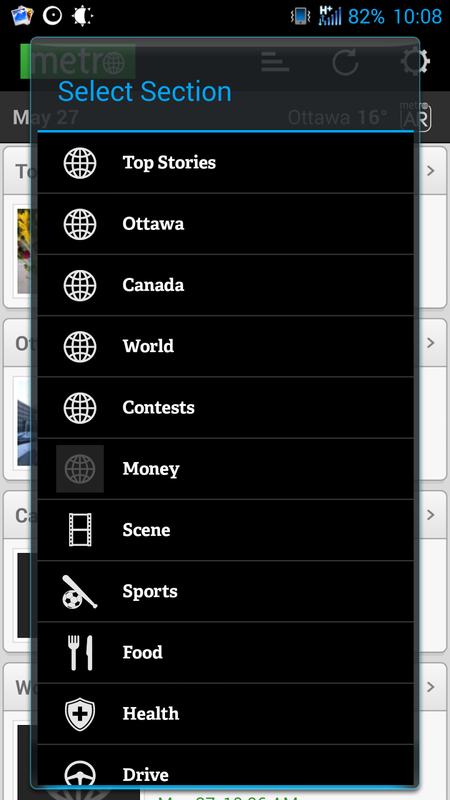 ability to re-arrange the feeds so that what your interested in most shows up at the top. Here's a few more screen capture and a short video of me browsing the app.